Evolution of new and fatal diseases, declining quality of lifestyle factors, and stress have been affecting the population of the globe since the beginning. Life expectancy is severely affected due to the presence of even one of the three factors. 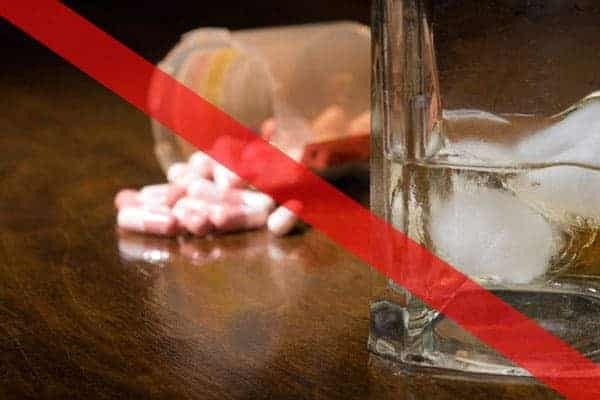 Drugs and excessive alcohol, or you may call them a ‘curse’ or a ‘spell’ that has been cast especially on the younger generation, has produced several kinds of dependencies, diseases, disappointments and deaths. Recently, statistical analysis has revealed that there has been a further decline in the life expectancy of the white young Americans, though the changes are slight. However, this is of major concern since the new Federal data claims that the young and middle-aged whites are expiring at a high rate owing to drug overdoses. The data which was obtained from the records of the country from the year 2014 revealed that the figure for life expectancy for the white of the country has dropped from 78.9 in the year 2013 to 78.8 in 2014. The decline is more pronounced in cases of males. Among women, the life expectancy reduction was recorded to be 81.1 in the year 2014, as compared to 81.2 in 2013. Dr. Elizabeth Arias, who is a statistician at the National Center for Health Statistics, analyzed the record which was attributed to the whites from their mid of twenties to their mid of fifties. She says that the rise in the death rate from this fraction of population is significant enough to influence expectancy of life from the birth itself for the whole group. She remarks that it is very unusual indeed. Liver ailments, suicide, overdose of drugs; these are the three culprits that have caused an increase in mortality rates in the young white population of America, says Dr. Arias. She is preparing a research regarding the trends of mortality on a large basis since the past 15 years. The life expectancy trend in this group of the country had shown improvement in the year 2010-2011, but for 2012-2013, it went stagnant. However, in 2014, it showed a considerable decline. Demographic workers have observed that the death incidences are more prevalent among the less educated groups of the society. A study-paper that was launched by Angus Deaton and Anne Case recorded an increase in mortality rates among white Americans of middle-age groups, who completed their education up to no more than high school degree. This fact puzzled the researchers for a while, until the recent analysis revealed that it could be due to more of anxiety and sufferings that the less educated working class of the society goes through. Apart from the whites, Hispanics, in terms of life expectancy, jumped from a figure of 81.6 to 81.8 in the year 2013, which is actually remarkable! Talking about the female gender of this race, they have gained a rise from 83.8 to 84 years regarding life span for the same year. Among the blacks, life expectancy showed improvements by coming up to 75.6 from a figure of 75.5 in the year 2014. Hence, both the Hispanics and the Blacks have shown a pronounced increment in their average lifespan. Since the year 2008, both the racial groups have gained one year of life expectancy, studies indicate. The whites are left out as an exception who are suffering a decline in their rates of life expectancy during their young and middle-ages. The last time a remarkable decline in the life expectancy rates was noticed in the year 1999, when the AIDS epidemic hit the country, and the steepest drop of life expectancy rate at that time was noticed among the blacks, which went down from a figure of 69.6 to 69.2 within a matter of an year.